Tainan City tour (Chikanlou－Koxinga Shrine－Anping Fort－Anping Tree House)－then take HSR to Taipei. Fo Guang Shan Buddha Museum: At the north-east of Dashu Township in Kaohsiung county on the left bank of the Gaoping (Kaoping) river, a famous tourist destination, here you will find the Buddhist center of South Taiwan. The architecture of the temples is very characteristic. Pier-2 Art Center: It was once an abandoned and forgotten warehouse buried in history due to the move from an industrial based segment to the service sector. Pier-2 area was released and re-born making the region a place where tourist and locals can come together to enjoy fine art. With the collision of an old area and new fine art, Pier-2 becomes an area of new vitality and liveliness. Qijin is a long slender island known as Qihou in earlier times. The Lilliputian island has numerous visitor attractions and is today accessible by both ferry and car. Tianhou Temple on Miaoqian Road is a grade two historic site dating back 300 years. There are also rickshaws with drivers decked out in Tang dynasty attire. 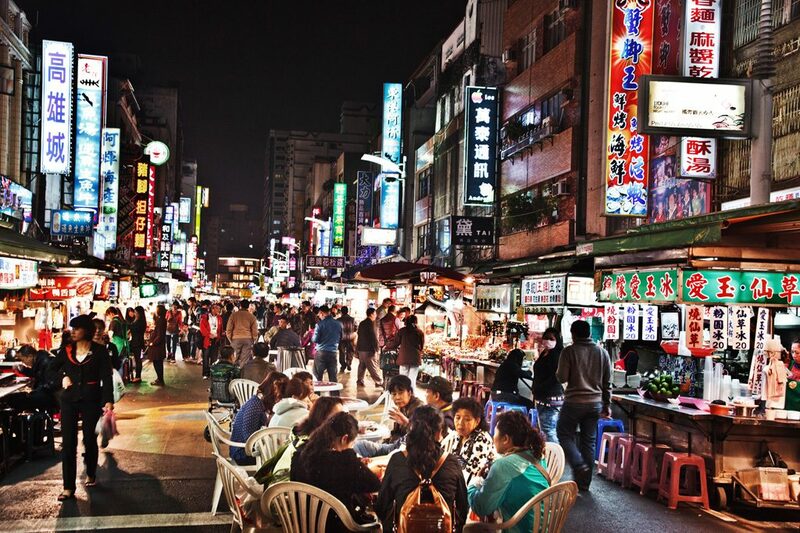 Liuhe Tourist Night Market: As early as in 1950, more and more stalls came to stationed in Dagangpu of Xinxing District in Kaohsiung, finally forming the well-known “Dagangpu Night Market”. No matter what you like to have, a variety of delicious food, specialties, cold drinks, ices and seafood here are offered for your choice. Maobitou: Maobitou is located in the west cape of southern Taiwan, right on the demarcation point of Taiwan Strait and Bashi Channel. The whole area of Maobitou is a typical erosional landform of coral coast which just faces windward and has abundant sea erosion. 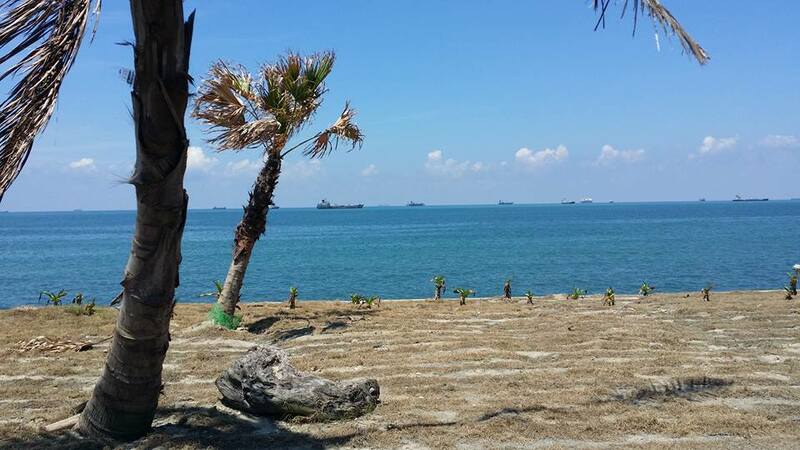 It is an excellent landform classroom with various scarps, reef columns, sea trenches, sea erosion caves and pot holes. Longpan Park: Longpan is the great grassland beside the Jia-Oh highway and near the beach of Pacific Ocean. This area is based on the tableland of coral reef limestone. Eroded the terrain of limestone shows a variety of crumbled ridges, subterranean limestone caves, and red soil. Chikanlou: Tainan Chikanlou is built by the Dutch in 1652. It was originally called Provintia. Although Chikanlou has gone through Ming Dynasty, Qing Dynasty and the Japanese Colonization Period, it basically still maintains its original look. After Taiwan was returned to R.O.C., the wooden structure was changed into steel concrete structure. Koxinga Shrine: The Guoxingye’s Shrine (Yanping Junwang Temple), located by Kaishan Road surrounded by trees, is the only Fujianese style shrine in Taiwan. Cheng Cheng Kung was originally called Cheng Sun, a native in County Fujian. In addition, daily items of Tainan city of the old like the street signs, bedding equipment, land deeds, money bills are on exhibition so that the public can understand the daily life of the past generations. Anping Fort: In 1624, Dutch built the first fort in Anping, Taiwan, called “Fort Zeelandia”, now known as Anping Fort, where has been the administrative center of the Dutch regime, and the hub for trading. In 1661, the fort was renamed as Anping to commemorate his home town when Guoxingye (Cheng Cheng-Kung) has driven the Dutch out of Taiwan. Anping Tree House: It was the original warehouse for British trading company Tait & Co. The aerial roots and branches of trees wrapped around the building, combine with soil, red brick and partial concrete wall creates an unusual sight.